We believe that we have an obligation to provide all of our customers and members with access to appropriate protection products to meet their financial needs.We have researched partners far and wide to ensure that the products available are of high quality, fairly priced and most of all offered to you via associates who share our ethos and commitment to the provision of an exceptional customer service. It’s absolutely right to consider all protection needs when taking out a large financial commitment such as a mortgage, but often protecting our earned income, which will ultimately pay the mortgage repayment each month, is overlooked. That is why the Society has researched the market and identified an Income Protection Plus plan, that can help our members fill this gap. Contact us or our partner PG Mutual for further information and a personalised quote. If those who depend on you would face financial difficulties should you be unable to work, become critically ill or die, it makes it especially important that you consider putting the right cover in place. We’ve partnered with Vita, who are independent and specialists in their field. They will carry out review of your circumstances and provide no-obligation tailored recommendations and quotes. Insuring the structure of your home is likely to be a requirement of your mortgage lender – we certainly insist upon it! But finding the right policy can be tough – nowadays the choice is vast and highly complex. Mortgage Advice Bureau will search the market to provide you with quality cover at the lowest price. Their Home Insurance Advisers specialise in Buildings and Contents Insurance and are on hand to provide free advice and recommendations. We offer an introduction only service to third party partners. All of our partners are chosen after careful consideration, and match our fair, customer-first culture – so we are always more than happy to introduce our clients to them. Whilst the Society is happy to endorse carefully selected partners, we cannot offer you any advice around the appropriateness of their products for your personal circumstances. 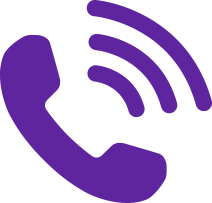 Get in touch with our team to discuss your circumstances and to arrange a quotation or an appointment. There is no obligation and a consultation is free.